Indians Baseball Cards: Get Ready To Pack Break!! Get Ready To Pack Break!! Look here, folks! What you see is the first shipment of goodies for the PAD Circus daily break! 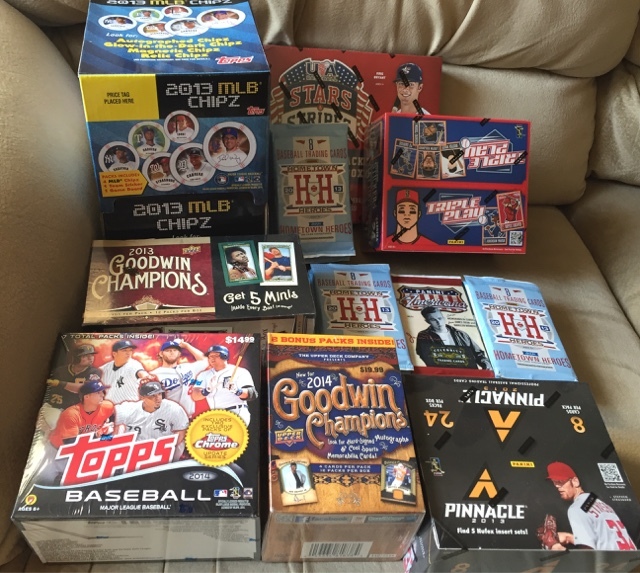 As you can see, we have lots of variety including ample non-baseball cards that will be busyed open and divvied up!! At last check, the Marlins had no manager. So, all Marlins cards and all non-baseball cards will be offered up in werkly free agent drafts! Free agent drafts are open to ALL my readers! So, if you missed out on the team selections, you still have plenty of opportunities to score some cardboard this season! We will fire things up officially this weekend!! Wahoo!! Whooo-Hooooo the circus is coming to town! This is one of the best parts of a new baseball season! That picture is a thing of beauty! Where does one go to acquire a WHOLE BOX of Chipz? I like that Pinnacle set more than most do -- the acetate inserts are very cool. OOTP 17 - Cool Changes, Fun as ever! Cool #OOTP Tourney for OOTP 2017!